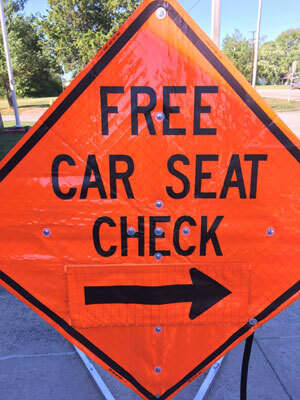 The Oak Ridge Police Department, Oak Ridge Fire Department and East Tennessee Children's Hospital are hosting a child passenger seat checkpoint on Saturday, May 12, 2018. The event is free and open to the public. The checkpoint will be held at Oak Ridge Fire Department Station #2, located at 609 Oak Ridge Turnpike (near Home Depot). Parents and caregivers are invited to stop by anytime between 10 a.m. and 1 p.m. with no need to pre-register. During the event, child car seats will be checked for any manufacturer recalls and be examined for proper installation by certified technicians. Crews will also distribute educational materials about car seats. Additional car seat checkpoints will be scheduled throughout 2018. For more information, contact the Oak Ridge Police Department at (865) 425-3504 or the Oak Ridge Fire Department at (865) 425-3520.